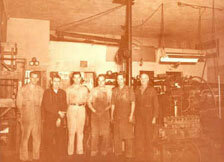 Bender CCP is happy to announce the purchase of Carlson & Beauloye Machine Shop. 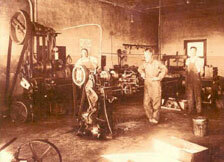 Back in 1924, Carslon and Beauloye opened the doors of their first machine shop. The concept the partners had in mind was to offer San Diego businesses a source for "Quality workmanship and service at a fair price." As time passed, they changed to keep pace with current business trends and practices. They maintained their general machine shop but expanded to manufacture a motorless water pump that generates its horsepower from water weight and gravity. 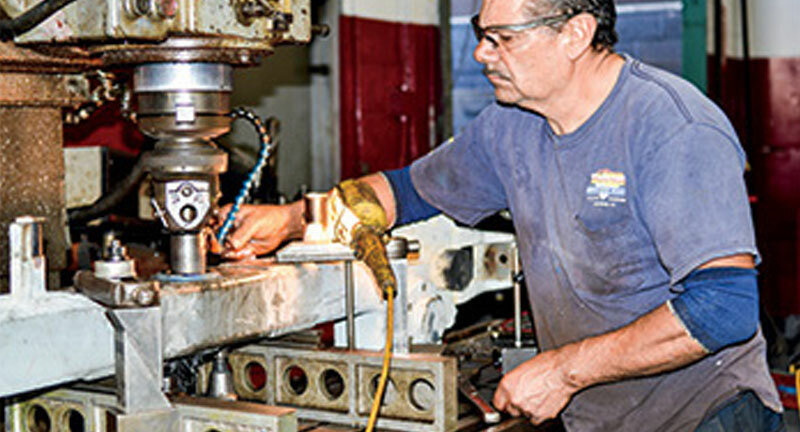 Our Machine Shop in San Diego has over 100 years of combined experience and together we find solutions for our customer's needs. 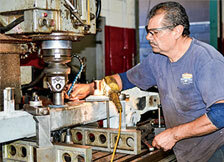 We have the capability to provide outside machining services. We can open and work off of your CAD files. 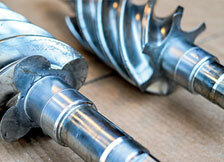 We have the capability to repair vertical turbine or split case pumps. 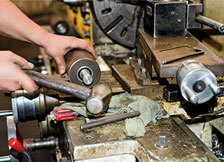 We can repair the pump shafts, case rings, wear rings and in some cases, repair impellers. 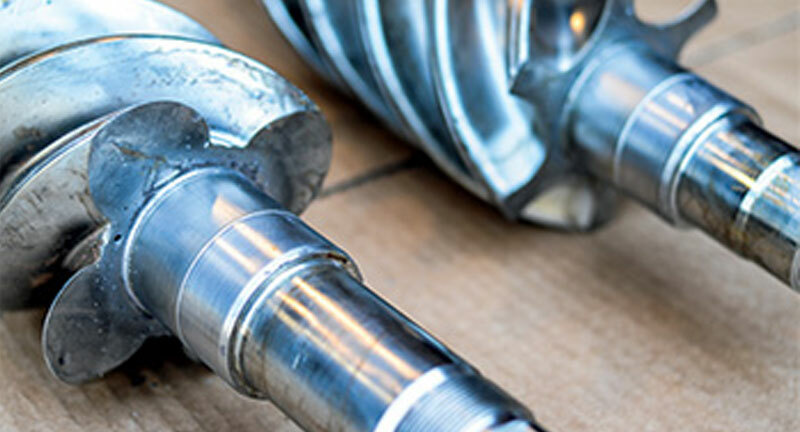 We can repair or manufacture Ram Shafts and Cylinders to your specifications. Broken tap, drill, bolt or ez-out? No problem! With our electro arc-metal disintegrator, we have the capability to remove just about anything from your part. At Carlson and Beauloye, we are known as the place to go for hard chrome plating. 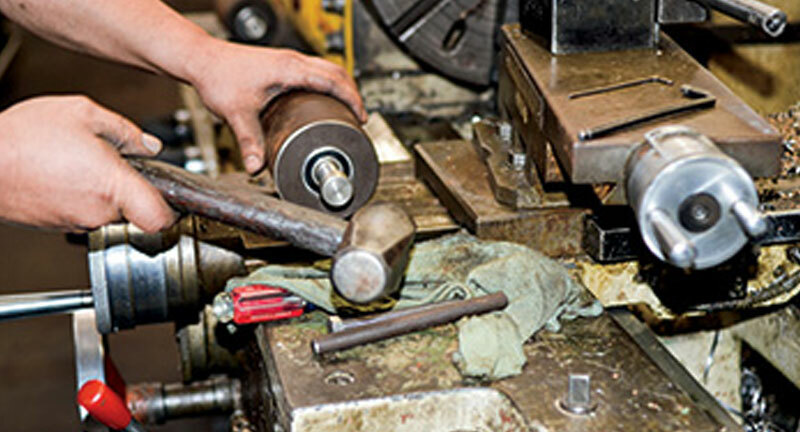 We specialize in refurbishing parts such as hydraulic ram shafts, pump shafts, bearing housings, etc. We are a military approved ISO 9001:2015 company. Also, we can apply a flash chrome on parts .0005 to .001 in thickness. Long Cylindrical: To grind pump shafts, hydraulic shafts and crank shafts. Informal Grinder: Capable of grinding pump, seal and bearing housings. Blanchard Grinding: gives us a way to resurface large, flat steel plates. Largest capacity allowed is 39" in diameter. Copyright © 2016 Bender CCP, All Rights Reserved.